Rate this Article If you are fond of the different competitive horse riding disciplines, and looking for a horse game that perfectly showcase equine sports competition within them, we have provided you with some brilliant titles to get you started. A lot of horse-related games have been played and reviewed through the years here on horseplains - some of which really excel in their specific and respective game genres, and some that are just there for the variety. While we may have compiled a lot of games in our collection, we made sure to have screened out games that you may potentially endow your interest with. Specifically speaking, horse-games that offer you the ability to take part in actual equestrian sports and different riding disciplines. For the lot of horse games enthusiasts, we know for a fact that this is rather important. For the main meat of playing a horse game is for you to compete. May it be a competition of race, endurance, jumping, and dressage, the following list of games are quite well rounded to hand you a great level of satisfaction playing them, with all the sorts of competitions to enlist into as you play through. These games are filled with tons of great competitive events and activities to test one’s aptitude towards managing/training his/her horse as well as performing skilled tasks over the competitions themselves. Other than that, these games are just as polished as their gameplay are. Handed down with great presentation (graphics wise), these games are simply a sight to behold. Starting up the list is Big Fish’s top horse game contender - Planet Horse. Definitely one of the biggest and best horse games out there as it presents itself with highly detailed environments and beautiful horse designs to perfectly captivate you over its collection amazing cross country races. Not limited to this, the game also situates its players with a room for upgrades and polishing of their horse’s skills as they play through it. Another perfect title for the list is, Blazing Silks as the game is basically targeted towards those into competitive activities and such. In this game, you may enlist for different horses at a time and train them in various disciplines and hone their specific skills - to have them participate into their respective competitions. A great game to get you really hooked in for some equestrian sports. There is also Stallion Race in our list, a horse game dedicated in the world of racing events and activities. The game offers tons of different horses that you can breed – each of which can be trained in various skills and attributes that will allow it to excel in the race tracks. To boot, the game is totally an eye pleaser as well. Riding Club CHampionships is easily on par with these games on the list. A horse game packed with different varieties of events to participate into to endow its players – different sorts of activities to enjoy and get busy with while playing. 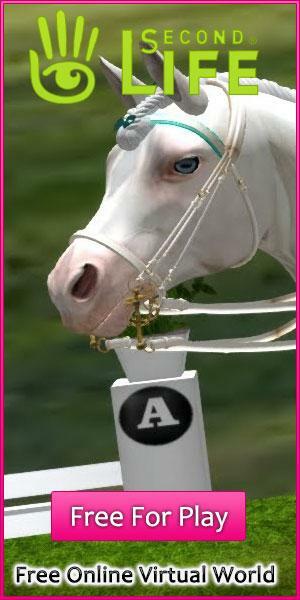 Compounded by the given variety of horses that players can train and raise, elevates the game entirely from the rest. To top it all off, we have Ride: Equestrian Simulation, an absolutely beautiful game that’s sure to impress. But that’s not all for the catch, as the game also offers some of the most intense gameplay that this genre has to offer. Other than the extensive breeding feature of the game, over its competitive side - there are tons of events to participate into to get you pumped-up playing. To sum it all up, all the aforementioned games showcase great varieties of competitive horse disciplines as well as fun equine sports activities – set towards sharing a truly fun and entertaining experience. Be sure to give these games a try, for they sure are all worth the time playing and will definitely won't disappoint.